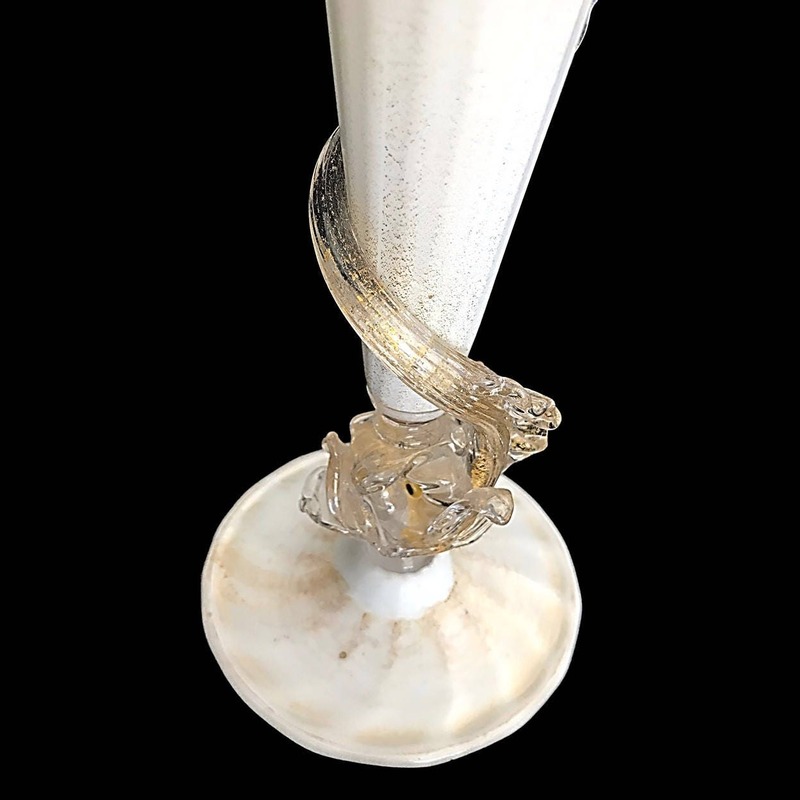 This rare, exquisite and delicate circa 1930s ribbed and footed glass vase by SALVIATI & Co. is done in a creamy white lattimo cased over with a super-fine layer of gold-aventurine-infused clear glass to create a golden burnish which accentuates the ribs and gives this remarkable work of art a gold metallic sheen. The trademark marine life ornamentation (fish? dolphin? mythical sea creature?) 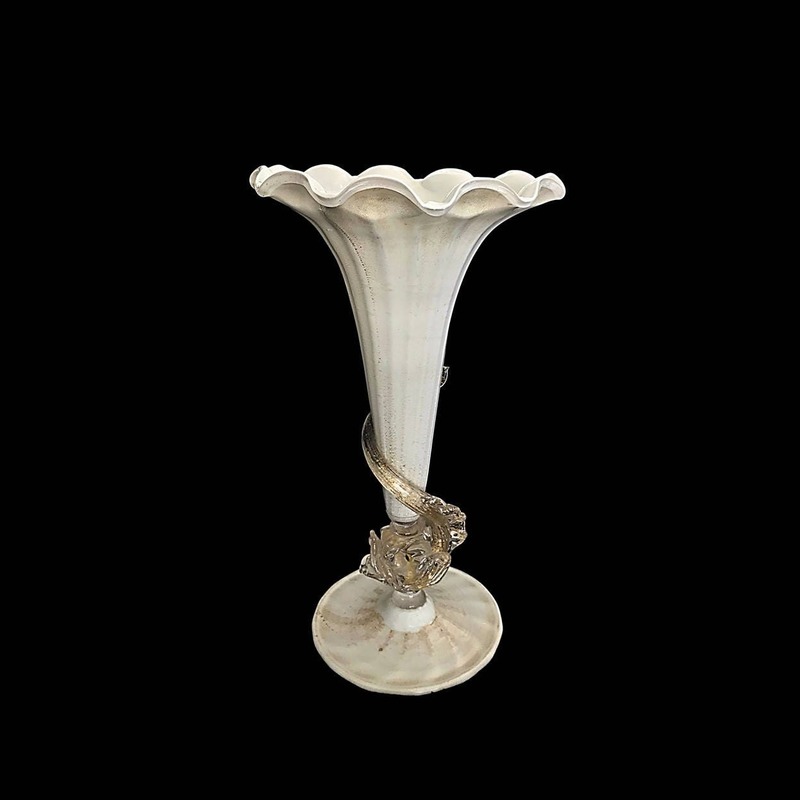 is trademark Salviati and our vase and its gold averturine flecked coiled sea creature have survived the decades in excellent undamaged condition.